For the third time this year, country crooner Randy Travis was arrested for being drunk and awesome. His troubles started back in February when he was arrested for being intoxicated in a church parking lot. According to sources, Randy is still coming to grips with his recent divorce, and cops caught him parked in front of the church with an open bottle of wine. While there’s no word on the brand of the wine, if it wasn’t Wild Irish Rose, I would be amazed. Earlier this month he was busted for DUI and retaliation for wrecking his bitchin’ 1998 Pontiac Trans Am and threatening the cops who arrested him. My favorite part was the guy who first happened on the scene thought Randy Travis was killed in the crash, but it turns out he had just decided to take a nap in the middle of the road after totaling his car. Showing no signs of bottoming out, Randy Travis was busted again last Friday for allegedly attacking a man in yet another church parking lot. According to one witness, Randy’s girlfriend was having an argument about custody with her son’s father when Randy decided to step in and lay down some drunken justice. When it was all said and done, Randy was charged with Class C simple assault, which in Texas is barely a crime. It’s punishable with a fine that can’t exceed $500, and is pretty much the same as a parking ticket. And hot off the presses, a truck registered to Randy was just found overturned in a field. Randy denies wrecking it, but the fact that it was found flipped over in a field behind a Walmart sure seems to indicate Captain Cool may have been at the wheel. 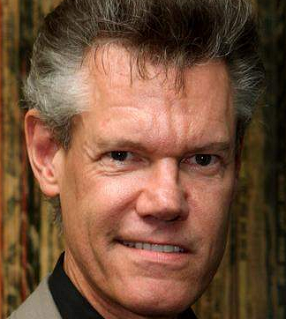 If you have Randy Travis in your death pool, I have a hunch you may get a payday soon.